Benchmark specialises in all aspects of tenancy fitout and tenancy refurbishment works with our construction expertise covering large corporate, commercial, dental and allied health applications. Benchmark’s in-house interior design team create user specific work environments to suit your individual business needs and budgets. Our designers work hand in hand with our building team allowing us to effectively manage the project scope, time and quality. Our team is committed to doing everything possible to make certain we deliver on what we promise. Our experienced team work in partnership with our clients to achieve the highest possible standards of quality, service and presentation. 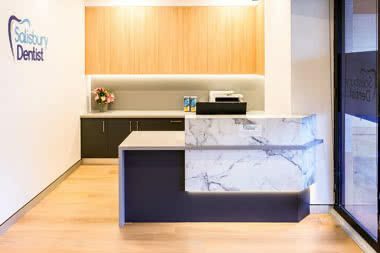 Benchmark provides clients with full turnkey corporate commercial and health fitout solutions, proudly servicing all locations. Fitouts include design, construction and installation of partitions, joinery, loose furniture, plumbing, electrical, air conditioning, ceilings, painting, floor coverings, signage and medical/dental equipment. Benchmark’s information and process control systems are a major feature of our business and integral to us achieving quality results for our clients. Through our information and process control systems, Benchmark clients can rest assured that we look after even the most complex of issues. Our thorough approach and attention to detail will ensure the successful planning and delivery of your fitout. As experienced design and fitout professionals, the team at Benchmark will look after every stage of the design and fitout process from compliance through to those all important finishing touches to deliver an effective design and fitout solution of the very highest quality. To discuss how we can help you achieve your design and fitout vision, contact the experienced team at Benchmark today.